Big color in the shade. 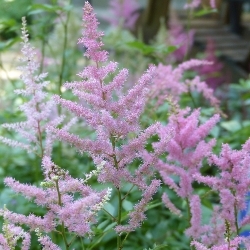 Astilbes have plume-like flowers with fern-like airy foliage. 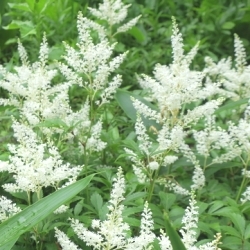 Also known as False Spirea. False Goat’s Beard, Feather Flower and Meadowsweet, Astilbes are one of the easiest flowers to grow and are virtually pest free. They prefer light to full shade. Shipped dormant in quart containers. 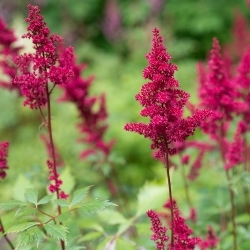 For Fall Planted Astilbes please click here.